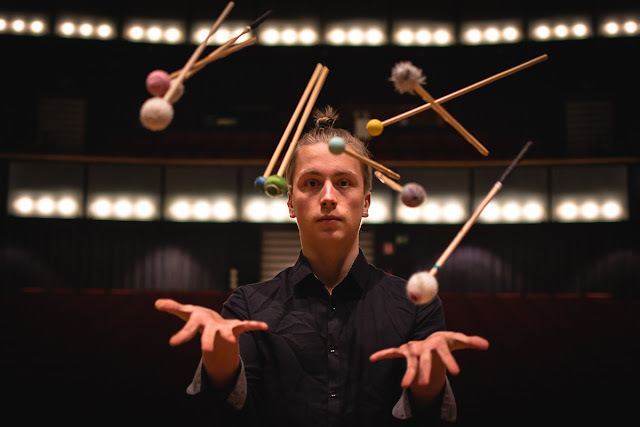 Kalle Hakosalo is a Finnish percussionist studying at the Royal Danish Academy of Music with prof. Gert Mortensen. Specializing in contemporary music, Hakosalo frequently gives concerts in Finland an abroad: as a soloist, with ensembles and with different chamber music settings. He's also a keen collaborator with composers. He's participated in master classes with eg. Philippe Spiesser, Nebojsa Zivkovic, Chris Lamb, Isao Nakamura and Theodor Milkov.